Are you currently paying too much for your auto loan and wondering if there might be a way to get a better deal? Many people walk in to the dealership just to browse around. But often times some people walk out a few hours later with new wheels and an auto loan that a slick car salesman said was the best that they could qualify for. If you didn’t spend time shopping around for loans and had no idea of the kinds of rates you could get elsewhere, you might have realized later that you were tricked and are now paying more in interest than you have to. Maybe you shopped around and got the best deal you could at the time, but you improved your credit since then and believe you could qualify for a huge discount on your current interest rate if you were to refinance. Perhaps interest rates went down after you took out your loan and you want to take advantage of that before they go up again. There are a lot of reasons why you might benefit from refinancing your auto loan. Refinancing a car loan is not something that many people realize is an option. While most people know that they can refinance their mortgage, student loans, and credit card debt, it often doesn’t occur to them to refinance auto debt because fewer lenders offer auto loan refinancing and the term lengths on auto loans tend to be relatively short. But if people understood how easy it is to refinance their auto loans and how much they can save – many more people would rush to do it. In addition to potentially saving money by lowering your interest-rate, you can also extend the length of your loan which will reduce your monthly payments if you are currently experiencing issues with cash flow. Overpaying for your auto loan can add up to thousands of dollars wasted on needless interest overtime and up to hundreds of dollars more per month. Why pay more than you have to when refinancing your auto loan is as easy as filling out an online application? Flexible terms and great rates that could lower your monthly payments. Online lenders have exploded onto the auto loan scene in recent years, and Autopay is one of the more popular companies. They specialize in refinancing existing auto loans, but they also do some purchase lending and even lease buyouts for qualified customers. Autopay was founded in 2007 by investor and portfolio manager Jeff Hutcheson, and is a lender working exclusively online with dealers and lending companies. Their claim to fame is extremely low rates on their loans—in some cases, as low as 1.99% APR. Their refinance products include traditional refi – in which you can reduce your monthly payments or interest rate. If you need fast cash, you can do a cash-back refinance – in which you refinance your vehicle but take the cash equity on it. If you’re already leasing a vehicle, you could do a lease payoff refinance. In order to be eligible for a loan with Autopay, you’ll need to have a credit score of over 600, with a verifiable income of at least $2,000 per month. In addition, the car you’re refinancing can’t be more than 11 years old or have more than 125,000 miles on it. Terms vary from 24 to 84 months. If you take a cash-out refinance, you could find yourself owing more on the vehicle than its value. LendingClub is a company that’s well-known as a peer-to-peer lender for personal loans. They are now offering auto refinance loans, however these loans are not peer-to-peer loans but are being funded directly from the company. Their loans are available in only 25 states and they offer you two different loan terms when you apply rather than a choice of a wider variety of loan terms. One will be for the same length of your current loan and the other will have a longer term. One benefit is that they do not do a hard credit pull when you apply so you can get an idea of your interest rate before you commit to a full application and credit pull. Their interest rates range from a low of 2.24% to a maximum of 24.99% with an average rate of 5.78%. Their loan amounts range from $5,000 to $55,000 with an average loan of $16,650. From the time that you complete an online .application to when you get the money in your account, it can take from 4 to 10 days. LendingClub has no minimum income listed for applicants, but they do have a minimum credit score of 510. Despite that, its auto loan refinance borrowers have an average credit score of 690. They have no application, origination, or pre-payment fees and give you an offer online within minutes. LendingClub will not refinance cars that are over 10 years old or that have more than 120,000 miles on them. You also have to have had the loan for at least 3 months before you refinance and they will only refinance loans with at least 24 months left on them. Some of the benefits of LendingClub are that you can easily check your rate with a soft credit pull, you can get an offer quickly and you can potentially qualify for a very low interest rate. Some of the drawbacks include the fact that LendingClub only serves a limited number of states, that they don’t offer large loans, and that their interest rates vary widely. My Autoloan.com is an auto loan refinance broker or marketplace that was started in 2004. They allow you to fill out one application and find out whether you are pre-approved for an auto refinance loan from as many as 20 lenders. MyAutoloan.com, matches you with reputable lenders that offer refinance auto loans in amounts that range from $8,000 to $100,000 for terms between 24 and 72 months. These refinance loans generally charge interest rates from 1.84% to 29.4% with an average loan of $12,650 and an average interest rate of 11.60%. You must have a minimum FICO score of 500 and make at least $1,800 per month in order to qualify. MyAutoloan.com currently only offers loans in 48 states with Alaska and Hawaii being the exceptions. In order to get pre-qualified for a loan, a hard credit pull is required for your application. If you choose to get a loan with one of their lenders, they might also conduct a hard pull on your credit. Times vary around approval depending on the lender, but once you are approved you can often get funding in your account within 24 hours. MyAutoloan.com is aimed at customers who have average credit scores and are looking to find out what kinds of offers they might qualify for. As it can be difficult to find auto lenders willing to take a chance on those with average credit, MyAutoloan.com is a great resource that will help simplify your auto loan refinancing search. They also offer competitive interest rates for those with average credit. But while being able to shop around by going to just one website is an advantage that will save you time, the fact that they request a hard credit pole is a huge downside. Hard credit score pulls affect your credit report and, as there are other options that will allow you to shop around with requiring a hard pull, you might be better off using them to shop for a loan first. RateGenius is an auto loan refinance broker or marketplace which means that they do not offer auto loans themselves but they match you with their various lender partners. They also help you complete your application with the lender you choose. RateGenius is unique in that they have a significant number of lender partners – over 150. The majority of their current partners are credit unions which are known for providing customers with low interest rates. This is because credit unions are membership-based non-profits, which means that the only members can take advantage of their financial products and credit unions’ main function is to serve their members. That means it’s important for them to keep rates low rather than try to make as much money as possible. RateGenius is available in all 50 states and the interest rates that RateGenius says partners offer start at 2.99% and go to a maximum of 18% with an average rate of 4.98%. You can borrow anywhere from $7,500-$90,000 and it usually takes between 3 to 10 business days to get your loan funded. Loan terms can range from 24 to 87 months. A hard pull of your credit is required in order to get pre-approved for a loan offer. To refinance through RateGenius, you have to have a minimum credit score of 525, but the average customer has a credit score of 690. You also have to have a minimum income of $2,000 per month. Applying online is fairly easy, you give them some information and RateGenius checks to see which lenders would lend to you and whether you would qualify for membership at participating credit unions. The benefits of using RateGenius are that they offer low rates and they have a large number of credit union partners. They claim that their average borrower saves an average of $69 per month. There are some restrictions to the loans however. The maximum age of a vehicle they will refinance is 10 years for some lenders, but there are also other lenders RateGenius works with who will refinance cars of any age. RateGenius also has a maximum mileage of 150,000 miles, but their preferred mileage is under 100,000 miles. Clearlane is a subsidiary of Ally Financial, the online bank, but it was originally a company called BlueHarbor that changed its name when it joined Ally. They are a broker or marketplace for auto loan refinancing which means that they do not provide auto loans directly but connect you with their lender partners to help you find the best rate. When you apply through Clearlane, you’ll get pre-qualified for offers – which can take up to 24 hours. Their partners include national, regional, and local lenders. The rates and terms you’re offered will depend on the lender that you choose and your credit score, but rates start at 2.84%. Some other factors that could affect your rates include your vehicle and the mileage that it has on it, although Clearlane does not list specifics. Term for auto refinance loans through Clearlane can be anywhere from 36 months to 84 months depending on the lender. Clearlane estimates that their customers are able to reduce their monthly payments by an average of $100 per month by refinancing through their site. They do not list restrictions any income or credit score cut offs. The benefits of using Clearlane is that you get access to a number of different lenders through one easy to use application and you can potentially save significant amounts of money on your monthly payment. They also do not do a hard credit check in order to pre-qualify you for a loan, which means filling out their easy online application will have no impact on your credit score. Some downsides of Clearlane include that there isn’t a lot of information about their loans or borrower qualifications on their website and so it can be hard to know if you’re a good fit for their products. Innovative Funding Services (IFS) is an auto finance company specializing in off-lease and auto refinance transactions. They work with 25+ lending partners to provide loans and offer service protection products like vehicle service contracts and GAP Insurance. Their loans are available in all 50 states. They offer interest rates that start at 2.49% and go to 23.99% with an average rate of 4.5%. Loans can range anywhere from $5,000 to $100,000 with an average loan of $22,000. Getting funding takes an average of five days. The minimum credit score to qualify for a loan from IFS is 550, but the average customer’s score tends to be around 640. Applicants must have a minimum income of $1,500 per month and the car that they are refinancing must be less than 10 years old and have less than 150,000 miles on it. Terms lengths range from 36 to 84 months. The benefits for IFS include that they have made the process of refinancing your loans simple with an easy online application and a quick response time. They also manage titling for customers, which can reduce or eliminate trips to the department of motor vehicles. They offer loans in all 50 states and have relatively flexible requirements for applicants and the cars they refinance. IFS offers a broad interest rate range – albeit with competitive rates – and so it will depend on what you qualify for as to whether it’s a good deal to refinance with them. You might want to consider comparison shopping to be sure you’re getting the best rate. 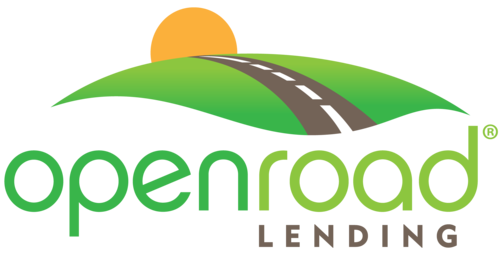 Open Road Lending is an auto loan refinance company that seeks to help you reduce your monthly payment. They estimate that the average customer can save up to $100 per month by refinancing their auto loans through their service. Their minimum borrowing amount is $10,000 and their maximum is $50,000. They offer rates that start as low as 1.9%, but the amount that you’ll pay will depend on your particular credit situation. Their term lengths vary between 24 and 72 months. To qualify for a loan with Open Road Lending, your car has to have less than 150,000 miles on it and be less than seven years old. They also offer a unique option that allows you to skip a payment when you refinance by having an extra month between your last payment on your existing loan and your first payment on your new loan. To qualify for a loan with Open Road Lending, you have to have a monthly income of at least $1,500 and they do not state a minimum credit score, but seem to cater to those with good credit. The benefits of Open Road Lending include that they advertise a very low introductory rate and that they have a high maximum mileage. However, that introductory rate will likely only be available to those with excellent credit. Also, your car can only be seven years old or less if you want to refinance with Open Road Lending. There are other lenders with more flexible lending criteria. Still, Open Road Lending is a good lender to consider because of their potentially very low rates and long term lengths. CarFinance.com is a website that was founded in 2011 and is run by Flagship Credit. They provide auto refinance loans to those who don’t have ideal credit. If you have bad credit it can be very difficult to get an auto loan or to refinance your existing loan, but CarFinance.com helps by allowing you to fill out a quick online application to see if you can potentially reduce your interest rate. Because they focus on lending to those who don’t have ideal credit, they look at alternative underwriting criteria in order to make their lending choices. For example, they look at whether you’re current on your existing auto loans and other debt, and take into account your debt to income ratio. They have interest rates that start at 6.7% and go as high as 12.3% with an average rate of 10.4%. The rate you will pay will be based on things like your income and credit profile. They lend to people who have a credit score of at least 550. You have to borrow at least $7,500 and up to a maximum of $50,000 and your car has to have less than 100,000 miles on it and not be older than eight years old. Their loan terms go as long as 72 months. They offer loans to people in 45 states with the exception of Hawaii, Mississippi, Nevada, North Dakota and Oregon. CarFinance.com offers great rates for those who have bad credit and many people might be able to get a lower rate via CarFinance.com on a refinance loan than they would be able to get elsewhere. The downsides of CarFinance.com are that the loans are not available in all states and they’re not a good fit for those who have good credit as the minimum interest rate is much higher than they would be able to get elsewhere. When people hear the name Capital One, they think of the popular credit cards the company offers. But Capital One also offers a number of lo﻿an products including auto loan refinancing. Capital One’s car refinance loan interest rates start at 3.39%. They have no origination fees or prepayment fees and you can get financing of between $7,500 and $40,000. Term lengths range from 36 to 72 months. The car that you’re refinancing must be seven years old or less and have less than 100,000 miles on it. You can easily apply to get pre-qualified through an easy online application and find out what rate you would have to pay. If you decide to go with Capital One as a lender, they will do a hard credit check and offer you the loan. Capital One loans are available in 48 states with the exception of Alaska and Hawaii. To qualify applicants have to have a minimum credit score of at least 500. The benefits of taking out a Capital One loan are that you’re potentially able to get a low rate and that Capital One has a relatively low minimum credit score which means that if you’re rejected elsewhere, Capital One might refinance your auto loan. Some downsides of Capital One refinance loans include that you can only borrow up to $40,000 and that their requirements around the age and mileage on your car are more restrictive than other lenders. If you’re considering refinancing your auto loan it’s important that you understand how much your current loan is costing you in order to know how much you’ll be able to save by refinancing. You can easily use an auto loan calculator to discover exactly how much interest you will pay during the remainder of your loan term. Let’s say that the remaining balance on your auto loan is $20,000 and you have five years or 60 months left on the loan. If you are currently paying 8% on your auto loan, you will pay $405.53 per month and by the time your loan is repaid you will pay a total of $4331.67 in interest. If you were to refinance your auto loan at the same term length of five years but at a 4% interest rate, then you would pay $368.33 per month and you would pay $2099.83 in interest in total. With this example, you would save $37.20 per month and $2231.84 over the life of your loan. The greater the difference in rates and the more money that you owe – the more you will save by refinancing your auto loan. As you can see in this scenario, refinancing wouldn’t just make a huge difference on your monthly payments, but it would save you a significant amount of money over time. What Do Lenders Look at When Approving Your Application? If you’re serious about refinancing your auto loan, you’re probably wondering what lenders will be looking for when it comes to approving applications and setting the interest rate for borrowers. Lenders will want to see at least a soft pull of your credit before they pre-approve you for a loan and give you an interest rate quote. After that, they will want you to fill out a complete application and do a hard credit pull. Some lenders will base their decision primarily on your credit score and might even have various cut-offs when it comes to scores. Just because you meet a lender’s credit score cut-off doesn’t mean you’re guaranteed to qualify for a loan. Many lenders will have low cut-offs of 500 or 550, but will primarily lend to those with better credit. Or they will approve people with low credit scores but give them very high interest rates. Lenders might also look at your credit history to see if you’ve ever defaulted on loans, been behind on payments, or filed for bankruptcy. Some lenders are more lenient about imperfect credit than others – though even those that are more flexible will likely be looking for a history of paying your bills consistently for the last six months or more. All lenders will want to understand your income and how much you make whether you’re self-employed or working a job. They’ll likely ask for pay stubs, W-2s, and income tax records for the last 2 to 5 years for those who are self-employed. Some lenders will also have income cut-offs. These can be as low as $1,500 per month. But lenders who don’t have income cut-offs can still deny your application due to insufficient income. They’ll also want things like proof of your residence, ID and maybe even personal references. Some lenders use alternative lending criteria like your ability save money and build assets, so they might even request a copy of your bank account statements. Before you apply for a loan, be sure you fully understand what you’ll need to provide that lender with so that you have the documentation ready. The length of the refinance loan process depends greatly on the lender. A lender like LightStream, for example, tries to get back within the same business day to approve loans and you can potentially get the money in your account without 24 hours. In contrast, loans via marketplace lenders like RateGenius might take longer because you need to work with both the marketplace and the lender. Since RateGenius works with banks and credit unions primarily that will also add time to the process since they might have more documentation requirements than other lenders. Unfortunately, there have been a lot of scams in the auto loan refinance sector. You might have gotten a flyer or an e-mail telling you about a great auto loan refinance deal at an attractive low rate. But before you get excited that you’ll be able to lower your rate considerably, it’s important that you understand what to watch out for and what to look for in the fine print. The first thing relates to fees – some lenders have hefty origination, and pre-payment fees. While this isn’t technically a scam, if they aren’t upfront about those fees it can be deceptive and leave you on the hook for a bit chunk of change. That will cut into your savings from refinancing. In addition, watch out for loans that offer variable terms as the cost of those loans can go up considerably over the life of your loan if interest rates increase. One scam that is going around is what is called car loan modification scams. This is when a company offers to help auto loan borrowers who have been threatened with repossession keep their cars. They charge an upfront payment for their help and then tell you to stop paying your loan. The company then says they will refinance the auto loan at a lower rate but doesn’t do so and eventually the car gets repossessed by the original lender. Lenders who are reputable will never ask for upfront payments so it’s a good tip off that any company who does isn’t reputable. Another scam is for lenders to tell you one thing about the terms of the loan but put something very different on paper. Before you sign anything make sure that the terms are correct – especially the interest rate, fees, and term length.